Personalized medicine for your optimal health. Autism spectrum disorders are a challenging situation for both patients and families. Dr. LeBaron uses specialty laboratory testing to evaluate for possible biomedical components of this disorder and various treatment interventions. Maintaining healthy hormone levels is an important part of preventative medicine. When hormone levels get depleted, many unhealthy symptoms arise which contribute not only to a decreased sense of wellbeing, but also to many diseases that are associated with aging. Dr. LeBaron does comprehensive hormone replacement treatment for both women and men. 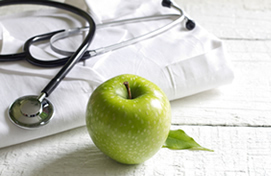 Maintaining wellness is the best prevention against the devastation of disease. Investing in your health is your greatest asset. Dr. LeBaron will discuss your health concerns, evaluate your risk factors and use specialized laboratory testing to identify underlying factors that put you at risk for serious disease states such as cardiovascular disease and diabetes. Formulating a plan to address your risk factors early is an important part of your health. A focus on health care, not illness care. “Treating the patient, not just symptoms” is a core tenet of the osteopathic medical approach to caring for patients. The body has a unique, God-given ability to heal if given the correct and adequate resources. OMT is a treatment intervention at the core of osteopathic medicine which uses a hands-on manual therapy to bring your body into balance. Addressing the musculoskeletal system and the integrative whole of your body provides a holistic approach to your health and wellness. Our bodies function as a whole, not just a sum of individual part. Dr. LeBaron uses a gentle hands-on treatment individualized to your body’s unique needs. Prolotherapy is a regenerative injection therapy that stimulates your body to repair and heal. Dr. LeBaron practices Hackett-Hemwall Prolotherapy treatment for joints/tendons/ligaments and musculoskeletal pain from overuse or other injuries such as sprains, strains, or tears. If you are looking for a helpful non-surgical intervention for your pain or injury, discuss with Dr. LeBaron if prolotherapy might be appropriate for you. Truly restoring your health at it’s core is the goal of restorative medicine. Your endocrine system plays the key role in regulating chemical messengers that manage multiple systems at work to make your body function well. The interaction and balance of these important chemical messengers is key to this restoration. Dr. LeBaron will work with you to restore your optimal health not just manage disease symptoms. Dr LeBaron would be happy to see you for a sports physical, physical exam/ check-up, or other general medical concerns you may have. Call us to schedule your appointment.